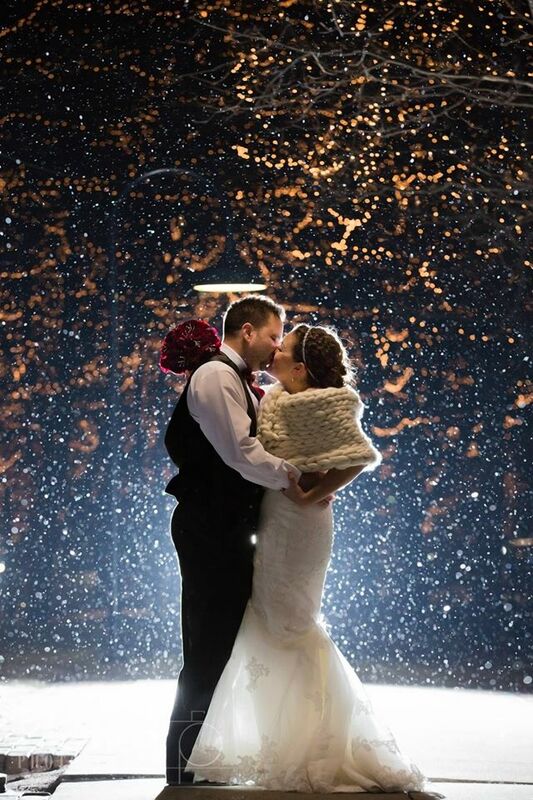 Can we just say we LOVE winter weddings? 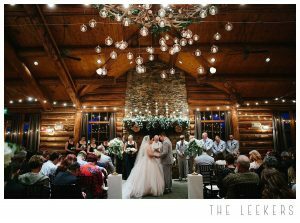 Erin + Hayden had a stunningly beautiful Wilderness Ridge wedding and we love how The Leekers Photography captured their special day. 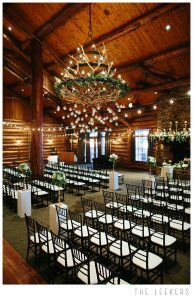 The ceremony was inside the ballroom, with perfectly placed chiavari chairs facing the fireplace creating a eye popping backdrop. 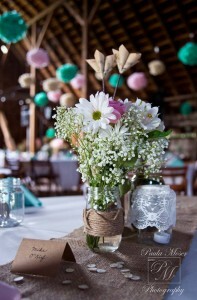 Blooms & Bouquets nails the design aspect as usual, blowing us away with the style and decor of the entire room. 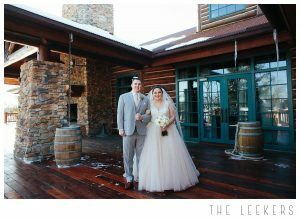 Even though there was minimal snow that day, The Leekers rocked the outdoor photo session and captured the details perfectly. 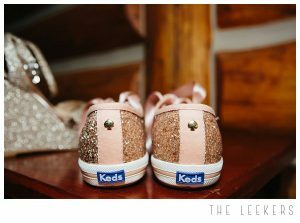 We love Erin’s details and glittered KEDs sneakers! After the ceremony, the guests were escorted upstairs for cocktail hour, sharing drinks and stories and appetizers. The ballroom was flipped for the reception, creating a warm atmosphere for the evenings events. Our DJ Scott was there to rock the dance floor and keep the party going all night long. 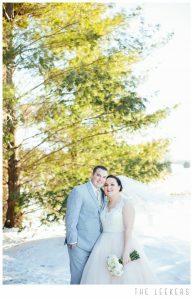 Check out the images from their amazing day! 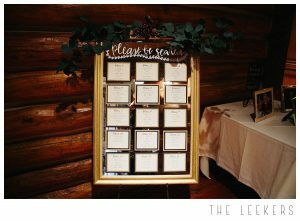 This Wilderness Ridge wedding is one of our favorites. To see the full post by The Leekers, click here. [My experience was] Amazing. Couldn’t have asked for a better DJ. Followed my guidelines very well. Both the love story video and DJ made the whole reception everything I could’ve asked for. I highly recommend Kurtis as your DJ. He made the night so much fun and made sure to make announcements as the night went on for each important event taking place. I was very pleased and it was excellent! 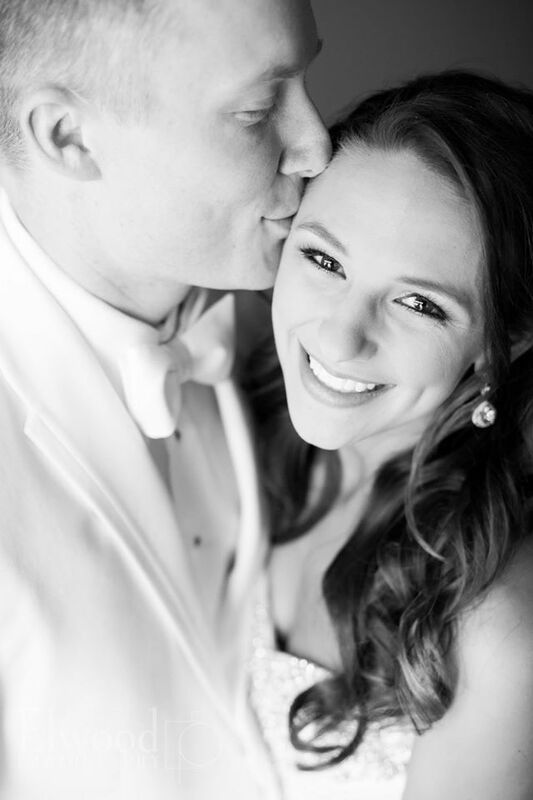 We first met Cody + Angie when they booked us for a Love Story video, to share their story with their guests. They have been dating since college and have such a cute story together. Cody played college baseball and Angie now owns her own nutritional/fitness company, Eleat Nutrition. You can see their slideshow video in another post! 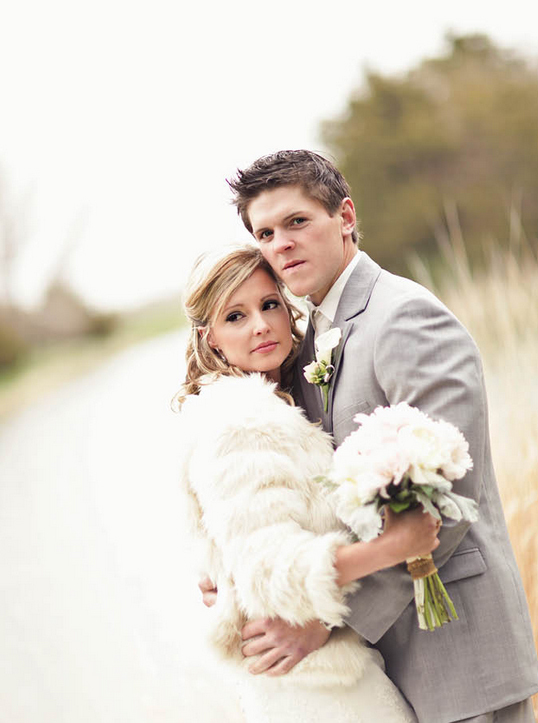 Cody + Angie had a stunning winter wedding – And I truly mean that! 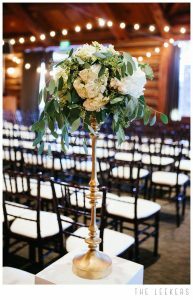 Angie’s sister is a talented wedding planner that we love working with. Shelly owns Event Design, based in Lincoln but works all over Nebraska. We found out she was handling the small details and we couldn’t be more thrilled to work with such a professional. She brought in an amazing team of vendors, starting with one of our favorites: Matt Elwood with Elwood Photography to do the photography. 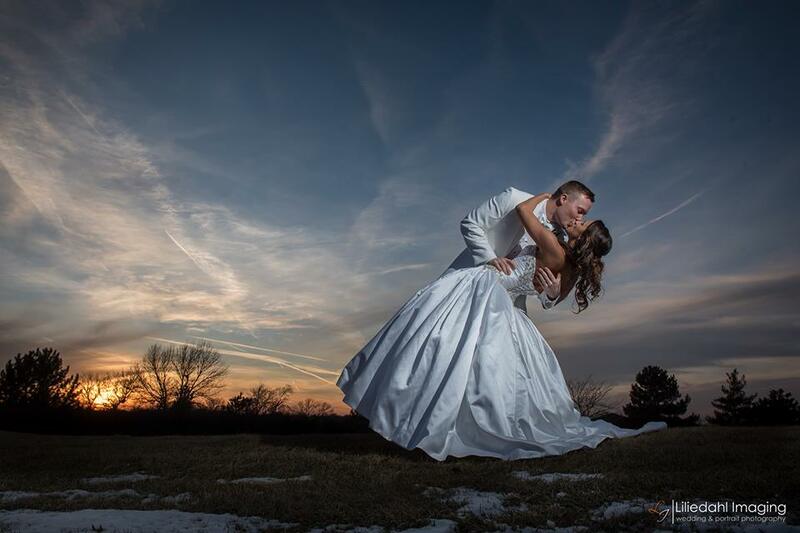 He truly captured the essence of their day, down the snowy photo to show the wintriness of the day. The reception was at the beautiful Cornhusker Hotel in downtown Lincoln. 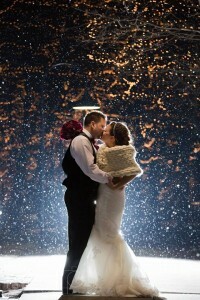 We loved the silver sparkles, the uplighting, the contrasting white. 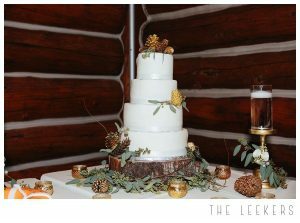 Their tiered square cake was simple yet stunning. Our DJ from A Sound Impression rocked the dance floor all night long – Everything about the day was gorgeous! 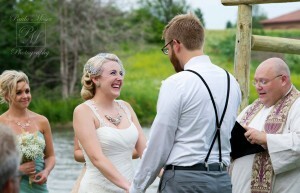 Outdoor ceremonies are one of my favorite things about weddings, and this one was no different. 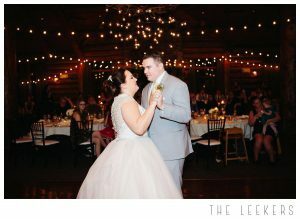 Nathan and Samantha were an eccentric couple – their excitement for their big day was contagious and the love they had for each other was electric. 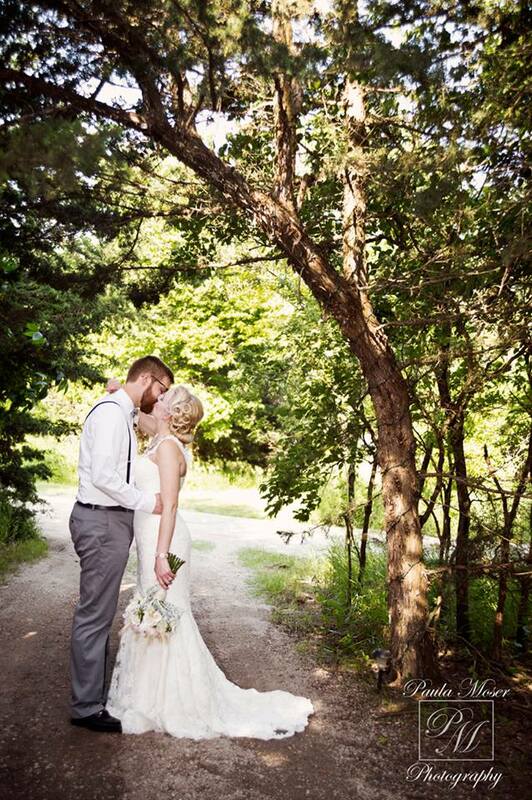 The day was stunning and we couldn’t have asked for a better couple to share it with. 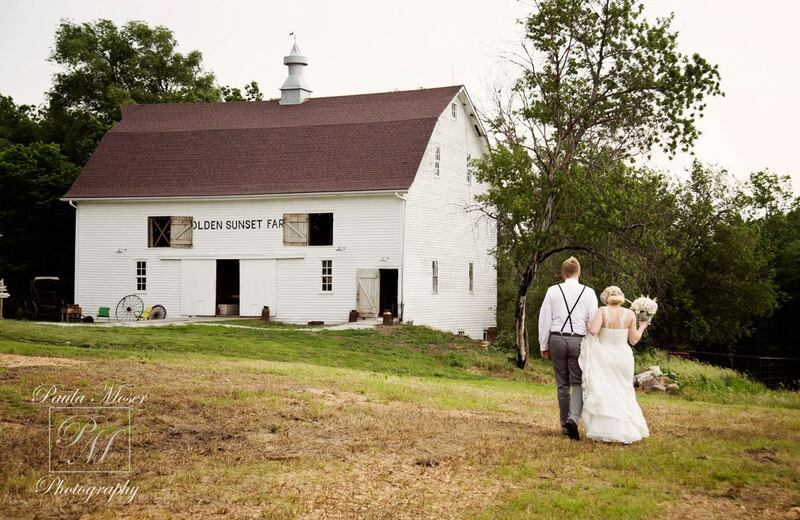 The Bluestem Tree Farm is a stunning venue, where everything is in one location for a smooth transition between events. 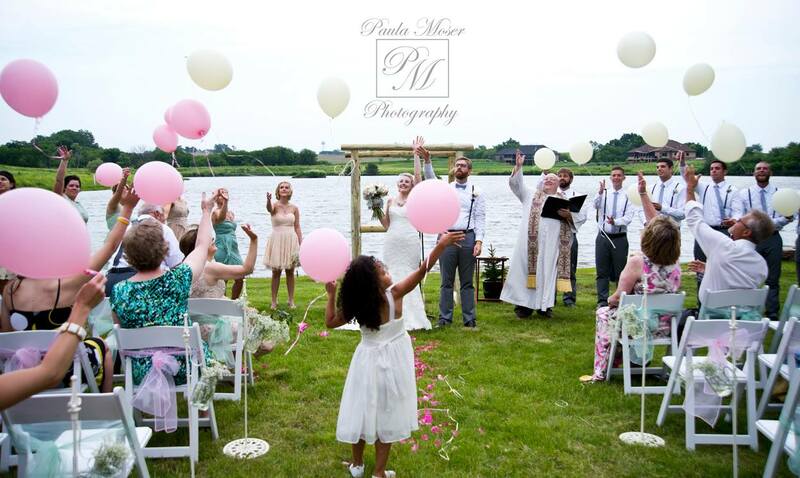 It has an outdoor ceremony space, a vineyard, a reception building with the option of outdoor seating, and a house/patio/fire pit for those brides who would like to stay on site the night before. Photography: Ever Lovely | View the album of images here! Nathan + Samantha | Wedding Love from A Sound Impression on Vimeo. Michael and Carissa came to us wanting a Love Story video to capture their unique story to have forever, and also to share with their wedding guests. We were moved by the fate that brought them together, as well as the emotion that was a huge part of their tale. 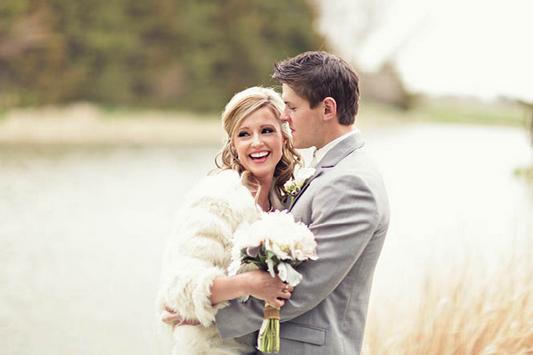 Everything from excitement, to laughter, to tears – this love story video has it all. Grab some kleenex, you’ll need it for this one! 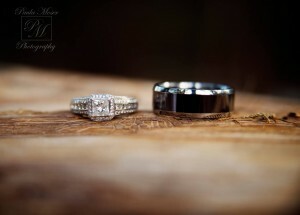 Michael + Carissa | Love Story from A Sound Impression on Vimeo. This one nearly left us speechless, until we saw feathers dipped in glitter — and then we couldn’t shut up about it. GORGEOUS! 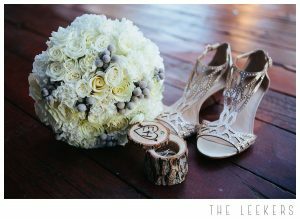 Everything about their wedding day was perfect, down to the amazing weather, beautiful couple, and an amazing team of vendors who rocked the entire wedding day. It was our first time shooting in the Omar Building, but our favorite thing about the venue was how it was such a blank canvas. The industrial feel was very clean and sleek, with the opportunity to bring in absolutely any color scheme or decor and have it work very well. The windows gave just the right amount of natural lighting, and the food was to DIE FOR! We also give major props to the Lovestu.ck Events team, as well as the Blooms and Bouquets staff for creating this fabulous reception set up. 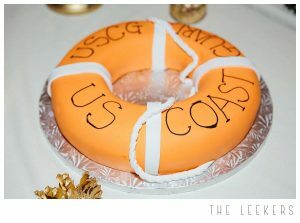 This ended up being a Same Day Edit that we surprised their guests with at the reception! Eric + Maris | Wedding Love from A Sound Impression on Vimeo. 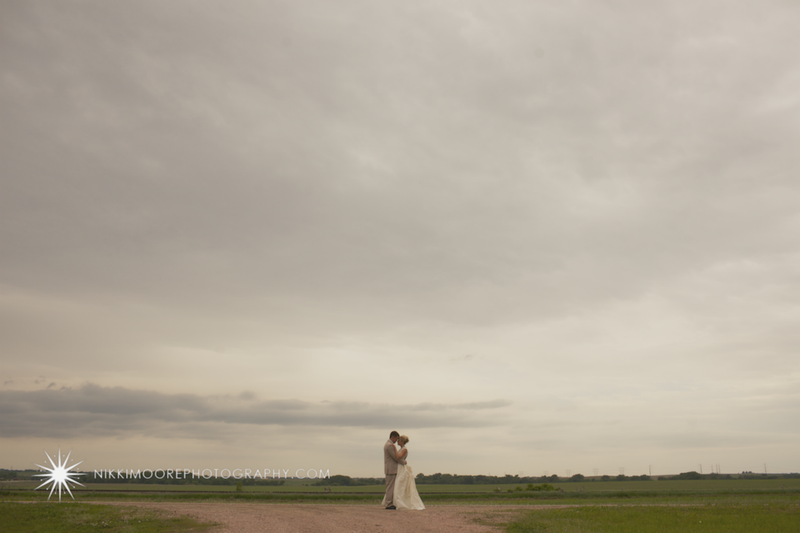 The wind wasn’t letting up, and as the storm clouds rolled in, we all had to make the best of the situation. 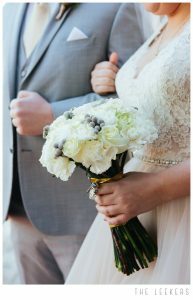 Brett and Savanna were troopers, and their gorgeous wedding, full of DIY details went flawlessly. They were married near the pond at the Prairie Creek Inn, with a reception to follow in the upstairs of the barn. It was a small, intimate ceremony with their close family and friends while they planned to follow it up the next day with a larger reception where the played the video below. 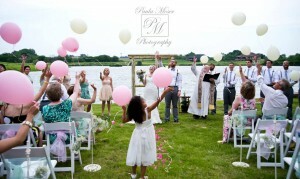 Being able to share their special ceremony with all the guests who weren’t able to attend was priceless! 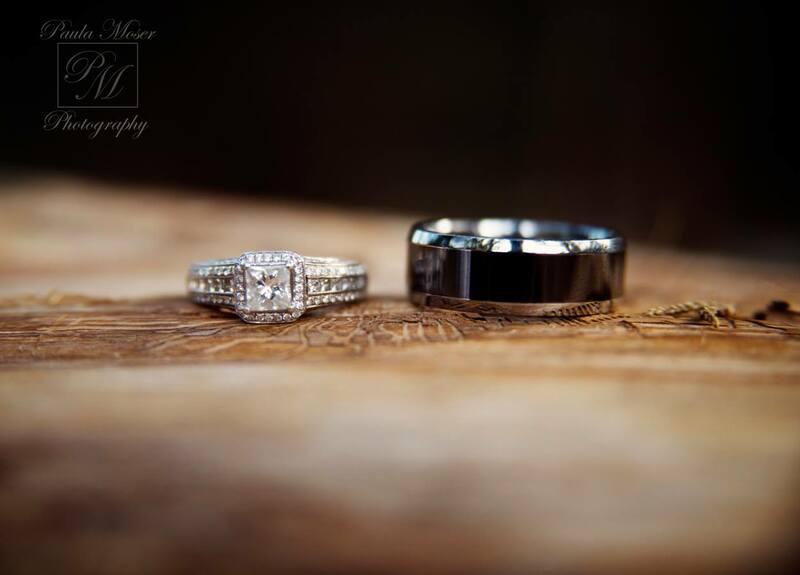 The talented Paula Moser Photography was side by side with us, capturing every little detail and moment. 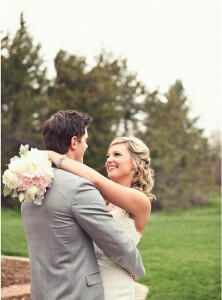 Another awesome review of our wedding videography! We love our job! Want to leave some love? We’d love to hear from you here! I don’t even know where to begin with this gorgeous wedding day. Drew + Paige have been together for years, and had the perfect outdoor wedding planned in the backyard of the house her grandparents built, that Drew and Paige now reside in. Mother nature, however, had different plans. 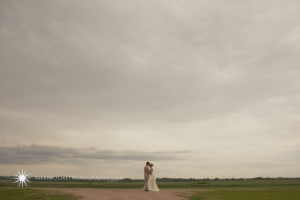 Their May 4 wedding day temperature hovered around 40*, with rain and winds for most of the day, making the outdoor wedding, even with a tent, nearly impossible. 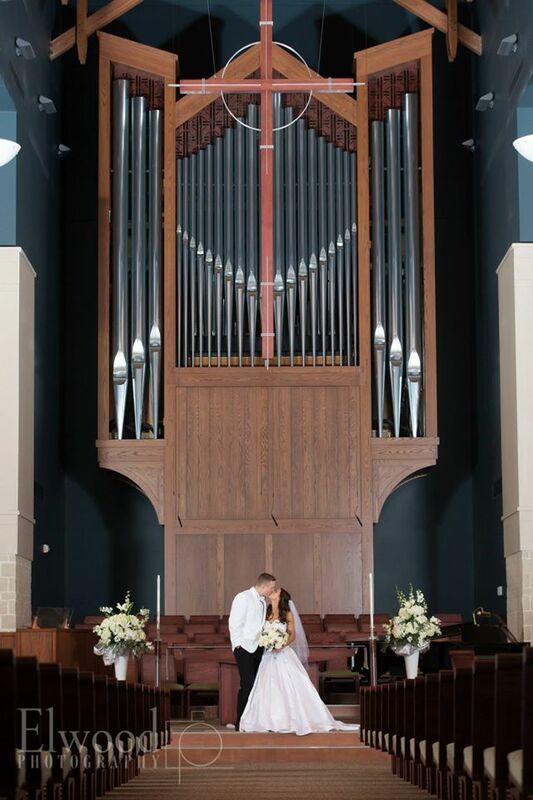 They didn’t let it get to them though – Paige called and reserved a church in town last minute, and the wedding was just as beautiful as ever. 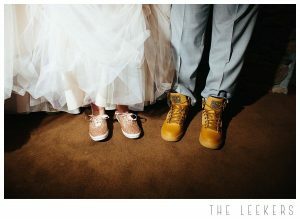 A few awesome vendors made this wedding rock..
And a few stunning images, and you can view the rest here.